Celebrate with these fun confetti tumblers – 24HR! These custom tumbler features gold and silver confetti between its clear walls. Tumblers are made of dual wall acrylic and can hold hot or cold beverages. Push-on lid has a drink-through opening and a straw hole with a twist top closure. Made from BPA-free #7 plastic, which can only be recycled in a few limited areas; check locally for more information. 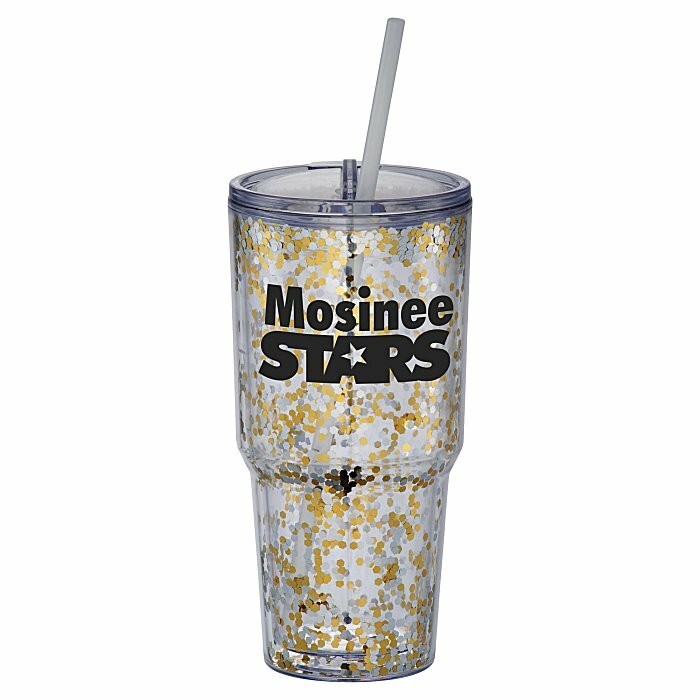 Your price includes a one-color wrap imprint on the upper part of the tumbler.